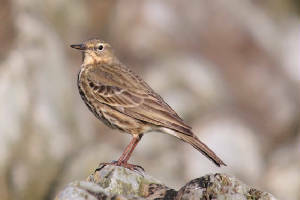 CLONEA STRAND: Black Redstart & Chiffchaff. KNOCKADERRY RESERVOIR: Male RING-NECKED DUCKS . 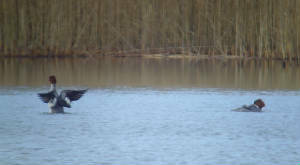 KNOCKADERRY RESERVOIR: 2 RING-NECKED DUCKS (male & female) still present. 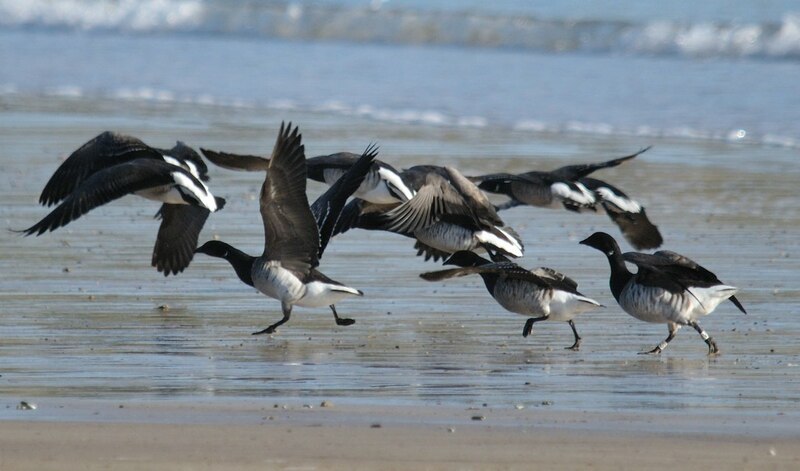 TRAMORE BACKSTRAND: Adult dark-bellied Brent Goose near southern embankment. 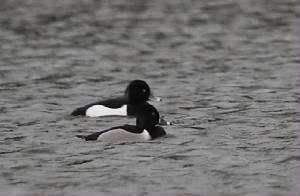 KNOCKADERRY RESERVOIR: 2 RING-NECKED DUCKS (male & female). 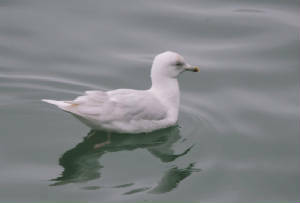 DUNMORE EAST: 3rd-winter Iceland Gull, 1st-winter Glaucous Gull & a Purple Sandpiper. 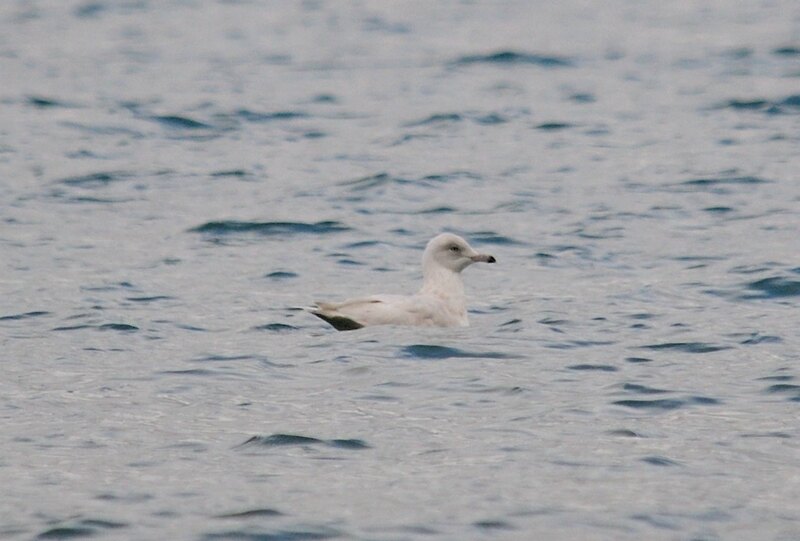 WATERFORD HARBOUR: Adult Iceland Gull at Fornaght Strand, 1st-winter Mediterranean Gull at cheekpoint, 25 Great Crested Grebes, Woodstown / Geneva. BOATSTRAND: 1st-winter Iceland Gull & 2nd-winter Glaucous Gull. 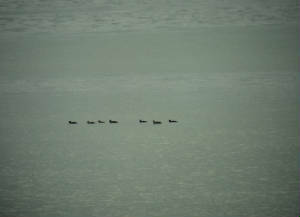 BALLYNACOURTY POINT: 8 Common Scoter. DUNGARVAN: SPOONBILL off pitch & putt course, adult Iceland Gull at Ballynagaul, 4 Chiffchaffs (1 singing) at Knockanpower Lower. DUNMORE EAST: Glaucous Gull & Purple Sandpiper. 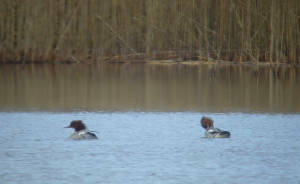 BALLYSCANLAN LAKE: 2 female or immature Goosanders (video & here). Nr PORTLAW: Jay at Mountbolton. KNOCKADERRY RESERVOIR: Female RING-NECKED DUCK. BALLYNACOURTY POINT: 8 Common Scoter off lighthouse. 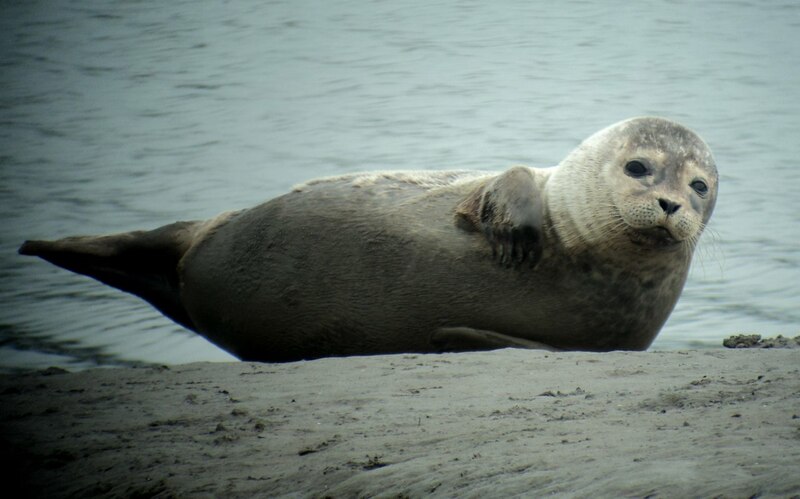 DUNGARVAN: 1 BLACK-NECKED GREBE in the bay, BLACK BRANT off pitch & putt course, Greylag Goose at Ballyneety, 5 Common Seals near Park Hotel, & SPOONBILL. 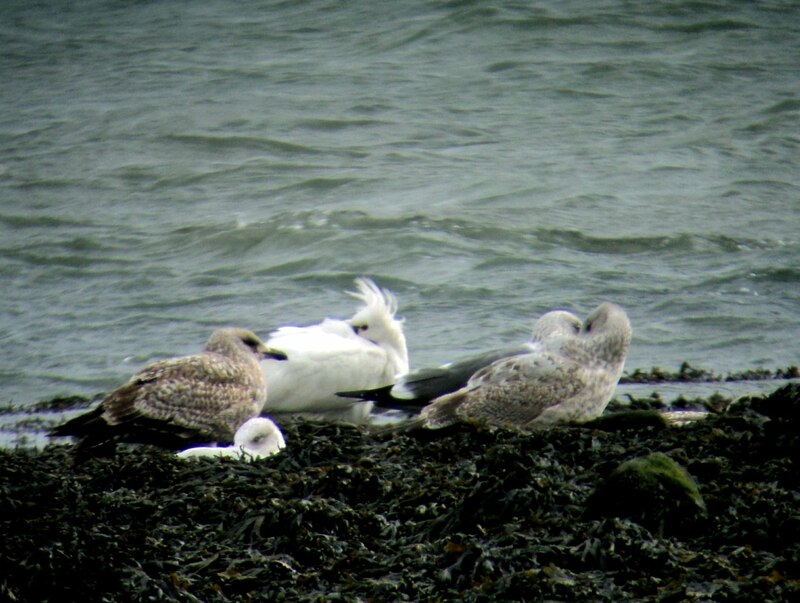 HELVICK HEAD: 1st-winter Iceland Gull & 4 Black Guillemots. 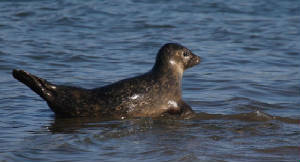 CLONEA STRAND: 7 Common Scoter, 16 Great Northern Divers & 4 Common Seals at Ballinclamper. 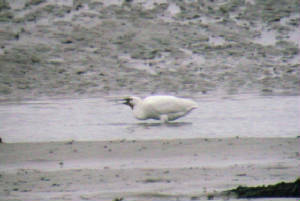 DUNGARVAN: SPOONBILL near pitch & putt course. 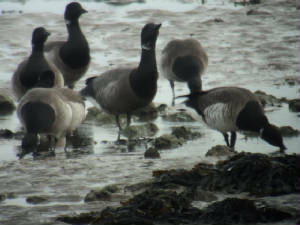 Nr ARDMORE: 100+ Brent Geese at Glencorran / Ballyquin. 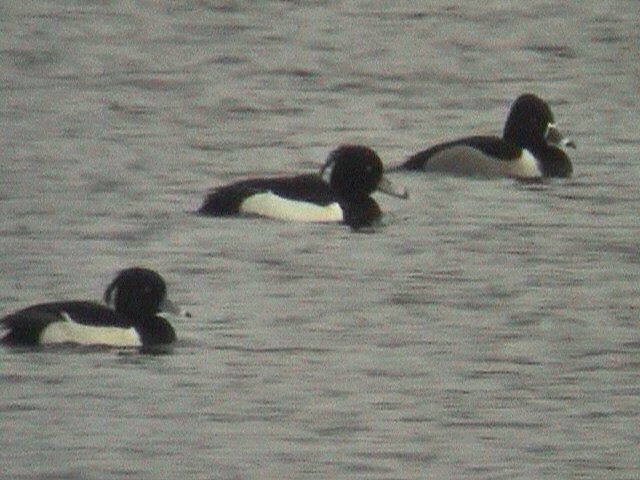 BALLYSHUNNOCK RESERVOIR: Male RING-NECKED DUCK still present. DUNGARVAN: Chiffchaff & female-type Black Redstart in town centre. 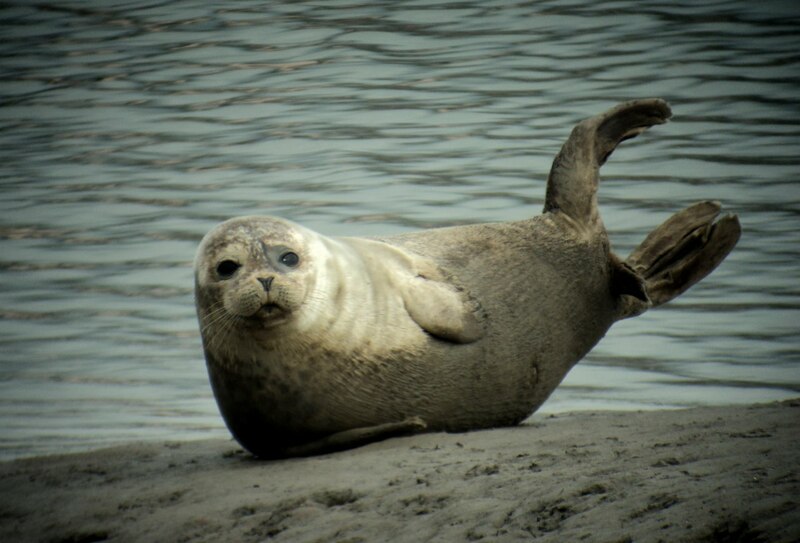 DUNGARVAN: SPOONBILL near pitch & putt course, adult Ring-billed Gull & 11 Barnacle Geese at Ballyneety, 2 Common Seals near Park Hotel. 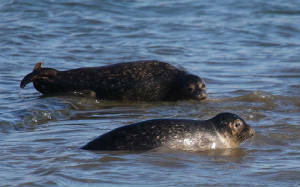 DUNGARVAN: 4 Common Seals near Park Hotel, Black Redstart in town centre. BLACKWATER CALLOWS: 2 Bewick's Swans, 4 Stock Doves & a Jay. WHITING BAY: Male Hen Harrier. RAM HEAD: 3 Red-throated Divers E, 5 Fin Whales & 20+ Common Dolphins. MONAVULLAGH MOUNTAINS: Male Hen Harrier. 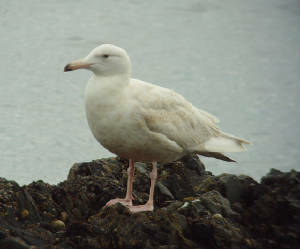 DUNGARVAN: SPOONBILL at western bay, Slavonian Grebe, 1st-winter Iceland Gull & 3 Chiffchaffs at Knockanpower Lower. TRAMORE: 870 Brent Geese around backstrand, Shoveler at Lisselan, Spotted Redshank at Pickardstown creek, Common Seal off Saleen, & 28 Gadwall at boating lake. 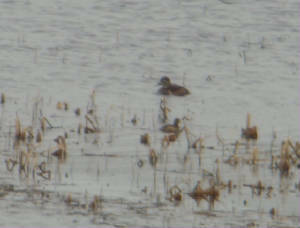 TRAMORE: Shoveler & 2 Gadwall at Lisselan . 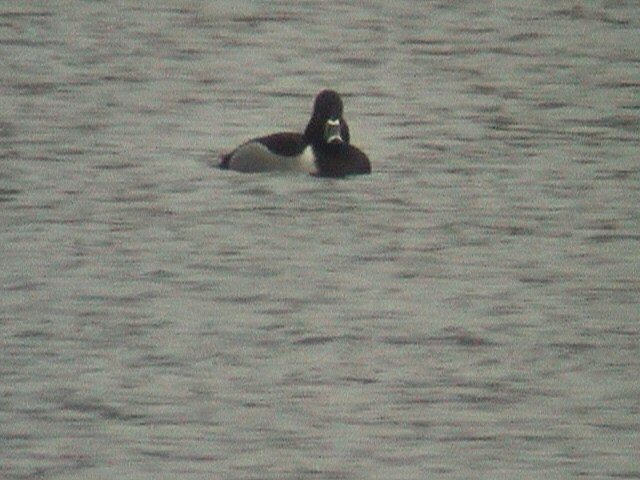 BALLYSHUNNOCK RESERVOIR: Male RING-NECKED DUCK. 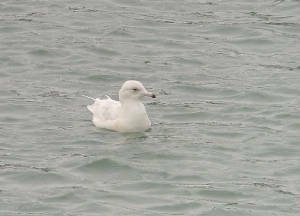 BOATSTRAND: Iceland Gull & 2nd-winter Glaucous Gull. 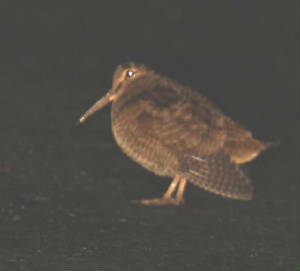 FINISK BRIDGE (nr Cappagh): 5 Woodcock. BALLYSHUNNOCK RESERVOIR: Male RING-NECKED DUCK & 10 Whooper Swans. 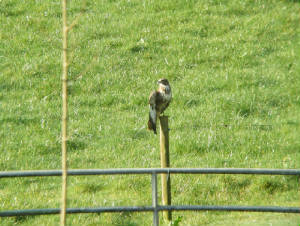 CLONEA STRAND: Merlin, 4 Great Northern Divers, 5 Red-throated Divers & a Whimbrel at Ballinclamper. 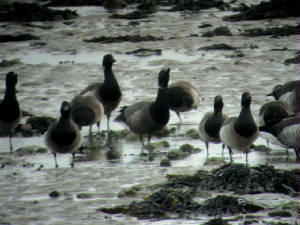 DUNGARVAN (I-WeBS count): Adult BLACK BRANT inside Cunnigar; 3 Common Seals, 2 adult dark-bellied Brent, 11 Barnacle Geese & a Greylag Goose at Ballyneety; 3 Common Scoter, 2 Red-throated Divers, 1st-winter Iceland Gull & 135 Great Crested Grebes off Ballynacourty pier; possible hybrid Glaucous/Herring Gull at Ballynagaul. 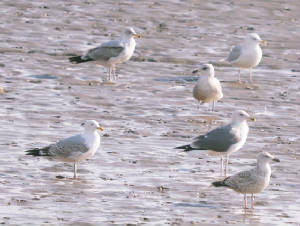 HELVICK HEAD: 4 Iceland Gulls (adult, 3rd-winter & 2 1st-winters). 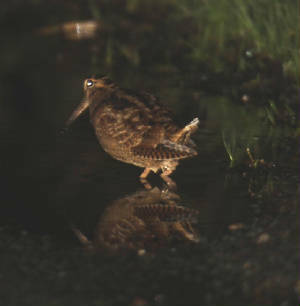 KILBARRY BOG (Waterford city): Dead Water Rail dead on Tramore road. 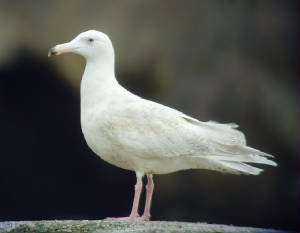 HELVICK HEAD: Iceland Gull & Glaucous Gull. 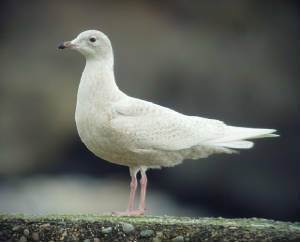 ARDMORE: Iceland Gull at Curragh strand. 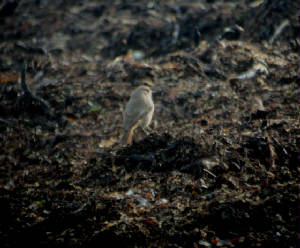 CLONEA STRAND: Black Redstart at Ballinclamper and (male) at Ballinard. RAM HEAD: 6 Fin Whales & 50+ Common Dolphins. DUNGARVAN: SPOONBILL near pitch & putt course, Greylag Goose, 11 Barnacle Geese, adult Ring-billed Gull (video & here) & adult Mediterranean Gull at Ballyneety. 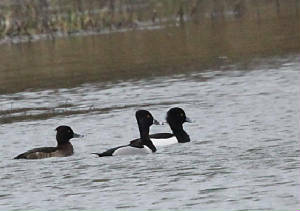 BALLYSHUNNOCK RESERVOIR: Male RING-NECKED DUCK (video & here). TRAMORE: 27 Gadwall at boating lake. KNOCKADERRY RESERVOIR: Female RING-NECKED DUCK still present. 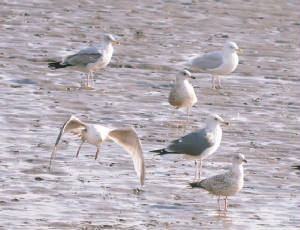 BOATSTRAND: 1st-winter Glaucous Gull & 2 Iceland Gulls (1st-winter & 2nd-winter). 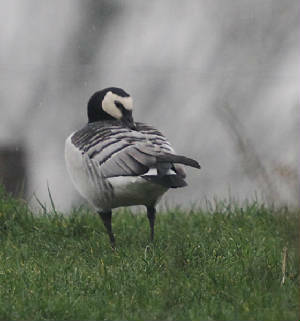 DUNGARVAN: SPOONBILL off the sports centre, Greylag Goose & 11 Barnacle Geese at Ballyneety. RAM HEAD: 8-10 Fin Whales. 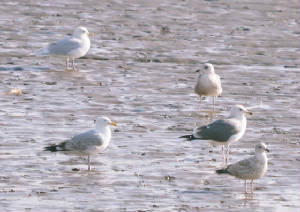 BLACKWATER ESTUARY: 4 Iceland Gulls (adult, 2nd-winter & 2 1st-winters) & an Otter at Tinnabinna / Kinsalebeg. 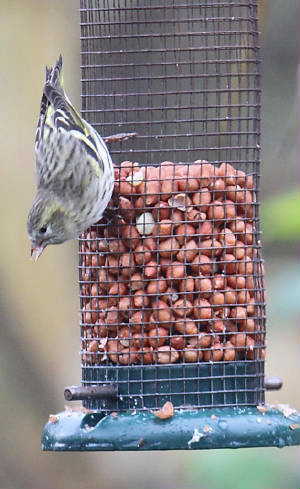 CARRIGNAGOUR (nr Lismore): 40 Redpolls. DUNGARVAN: 2 BLACK-NECKED GREBES at Ballynacourty, adult Ring-billed Gull & 11 Barnacle Geese at Ballyneety, Greylag Goose at Duckspool, Kingfisher at Barnawee. 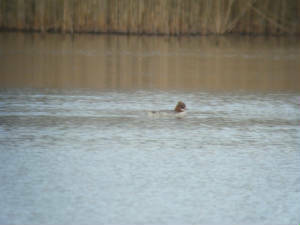 KNOCKADERRY RESERVOIR: Female RING-NECKED DUCK (new bird, 5th county record). BALLYSHUNNOCK RESERVOIR: 8 Whooper Swans (no sign of male Ring-necked Duck). 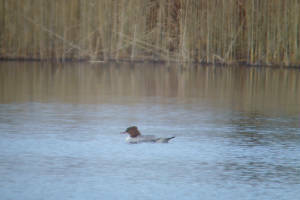 TRAMORE: 31 Gadwall at boating lake, Great Northern Diver & 5 Red-throated Divers in bay. WATERFORD CITY: Chiffchaff at IDA park. DUNGARVAN: Adult Ring-billed Gull, Merlin, adult dark-bellied Brent Goose & 11 Barnacle Geese at Ballyneety, Green Sandpiper at Brickey canal. BLACKWATER ESTUARY: 1st-/2nd-winter Iceland Gull at Tinnabinna (also 1st-winter Iceland Gull and adult Yellow-legged Gull on Cork side of Rincrew). 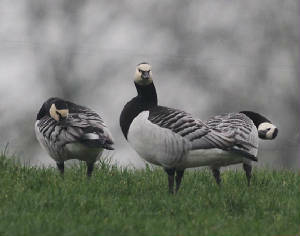 DUNGARVAN: 11 Barnacle Geese & a Greylag Goose at Ballyneety, SPOONBILL near pitch & putt course, Black Redstart & Chiffchaff in town centre. 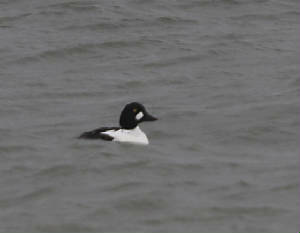 DUNGARVAN: SPOONBILL in western bay, 2 BLACK-NECKED GREBES at Ballynacourty, 11 Barnacle Geese at Ballyneety. 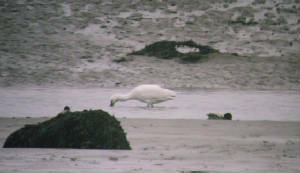 DUNGARVAN: SPOONBILL in western bay, 11 Barnacle Geese at Ballyneety. 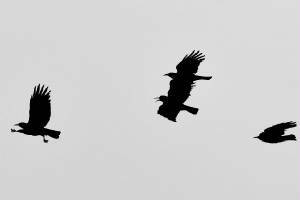 CLONEA STRAND: 17 Choughs at Ballinclamper. DUNGARVAN: 2 BLACK-NECKED GREBES off Ballynacourty pier. 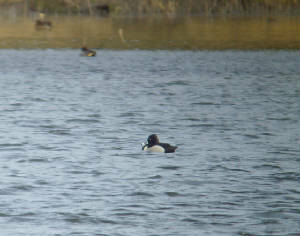 BALLYSHUNNOCK RESERVOIR: Male RING-NECKED DUCK (4th county record). RAM HEAD: 150 Common Dolphins. 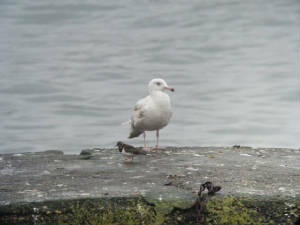 ARDMORE: 3rd-winter Iceland Gull off Curragh strand. 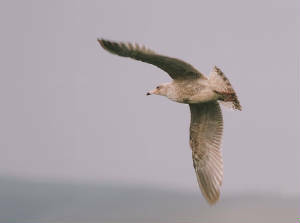 HELVICK HEAD: 2 1st-winter Iceland Gulls following trawler. 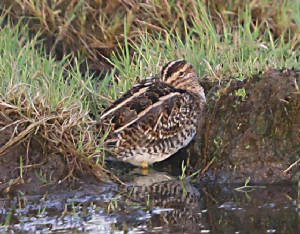 DUNGARVAN: Jack Snipe in pool near Cunnigar car-park. 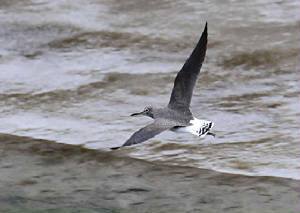 BUNMAHON: Green Sandpiper & 2 Red-throated Divers. TRAMORE: Black Redstart at west end of beach, 1 Gadwall at boating lake. BLACKWATER CALLOWS: 72 Whooper Swans (65 at Ballynerroon West), Jay near Towers. BLACKWATER VALLEY: 62 Whooper Swans at Camphire. Nr KNOCKMEALDOWN MOUNTAINS: Male Hen Harrier. 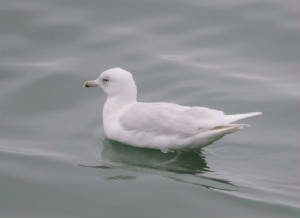 HELVICK: 1st-winter Glaucous Gull & 2nd-winter Iceland Gull. DUNGARVAN: Green Sandpiper at Brickey canal, Blackcap at Strandside. 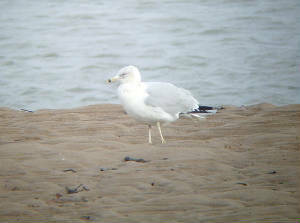 BOATSTRAND: 2nd-winter Glaucous Gull & 1st-winter Iceland Gull. TRAMORE: 25 Gadwall at boating lake, 3 Gadwall & 2 female Shoveler at Lisselan. 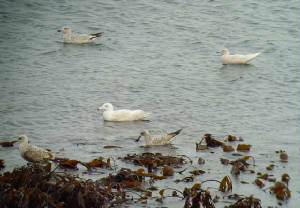 DUNMORE EAST: 2 Iceland Gulls (2nd-winter & 3rd-winter ). DUNGARVAN: Black Redstart in town centre. 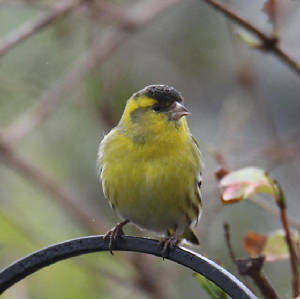 DUNGARVAN: Male Brambling at Abbeyside, 1st-winter Iceland Gull at Barnawee. Off WATERFORD HARBOUR: 6-7 Fin Whales c8 km S-SE of Hook Head. DUNGARVAN: 2 Black Redstarts (1 male) in town centre, Greylag Goose with Brent at Abbeyside beach. 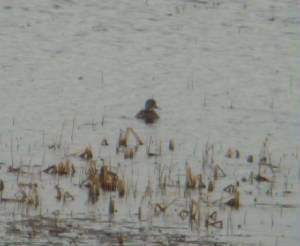 SEAFIELD: 3 Pintail (2 males). 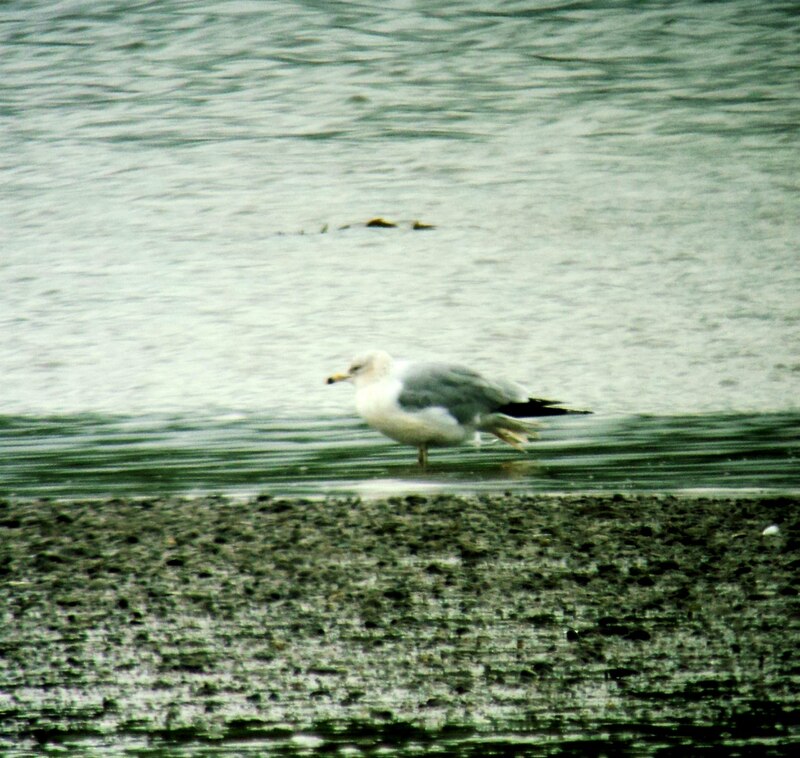 BOATSTRAND: 2 1st-winter Glaucous Gull. TRAMORE: Adult Mediterranean Gull on beach, 18 Gadwall at boating lake & 3 at Lisselan. Nr BRANDON HILL (Co Kilkenny): 6 Waxwings & several Woodcock.